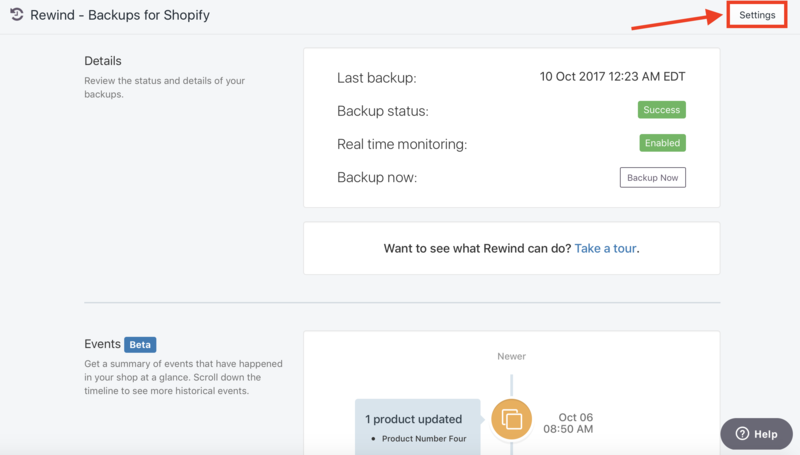 How can I update the email address associated with my Rewind account? At this time, BigCommerce does not offer a way for customers to change and/or add additional email addresses to associate to their store's apps. 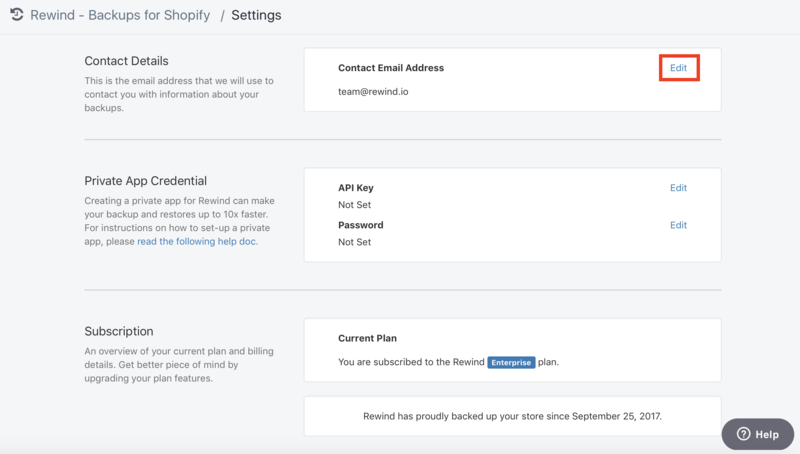 The only emails the customer can access and edit are the primary and billing email addresses associated directly to their BigCommerce store. 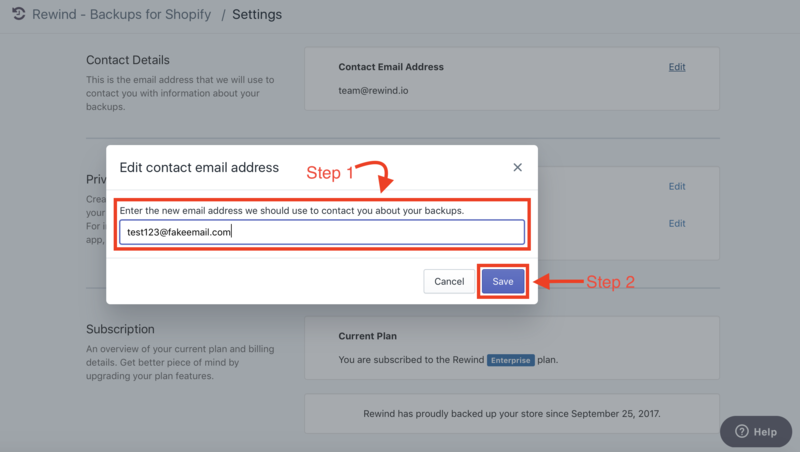 If you wish to update and change the email address associated with your Rewind account, please contact us directly, and we would be happy to manually make the necessary changes from our end.